"departure times cannot be relied"
✅ Trip Verified | Victoria Falls to Harare. Never choose this company. Departure times cannot be relied. Our flight departed 3.5 hours earlier than it should've. We were only informed the previous day in the evening. We couldn't make it to the flight and went to the airport to book a new one. Customer service at the airport was terrible. The staff was arrogant and shouted at us. Also, there was supposed to be another flight with Air Zimbabwe that day, but for no reason they didn't fly it. Don't choose this airline. ✅ Verified Review | When we purchased our ticket online we were not informed that we would be flying direct from Victoria Falls to Johannesburg however it was explained to us at airport check-in that the flight was was Victoria Falls > Bulawayo > Jo'burg. 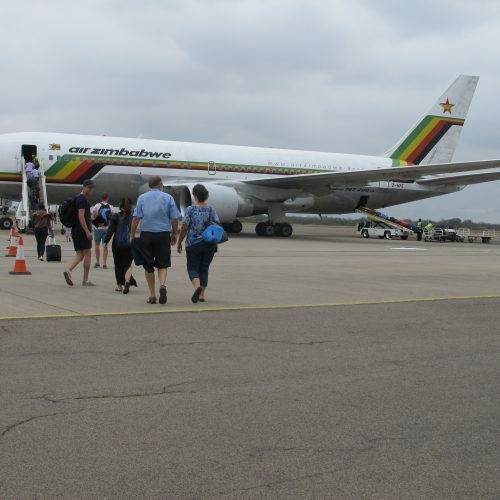 The flight was delayed about 30 minutes in Vic Falls and we deplaned when we arrived at Bulawayo Airport and eventually re-boarded a larger plane. Communication wasn’t great but we spoke with another passenger who took this flight more regularly and this was apparently the norm. Aside from the fact that it was "free seat" meaning pick any available seat regardless of what was indicated on boarding pass, the flight went well. I would not recommend this flight if you have a tight connection, it would be wise to leave yourself sufficient room for delays. Most countries charge a departure tax when leaving by air. Often the tax is automatically added to the airline ticket price but not always, as is the case with Air Zimbabwe so be prepared to pay 50USD, cash before going through security. ✅ Verified Review | Harare to Johannesburg. 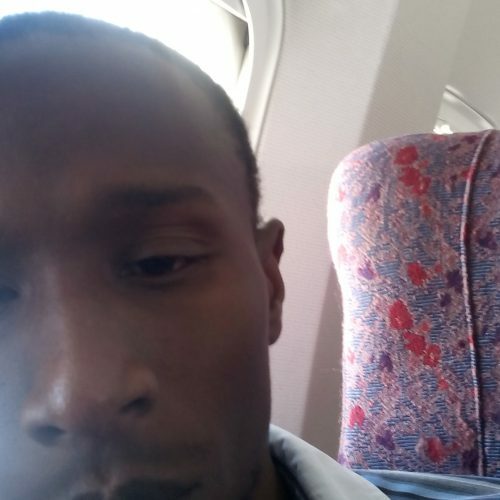 I had a very bad experience with Air Zimbabwe and particularly the agent through which I bought my ticket - Geostar (a Portuguese agent). I booked a flight for 7am from Harare, and the flight was postponed indefinitely. Upon arriving at the airport, the front desk cashier demanded $50 airport taxes be paid in addition to the ticket that was already bought. Neither Geostar nor Air Zimbabwe bothered to inform me of the change in travel times. After requesting a refund, it has been 28 days of back and forth emails from the agent and the airline. No concrete answers or commitment. Just incorrect credit notes being sent to me. ✅ Verified Review | I enjoyed my flight aboard Air Zimbabwe from Harare to Johannesburg, the crew were very friendly and the service was excellent. We arrived ahead of schedule, check-in was fast and smooth and the seats were comfortable. 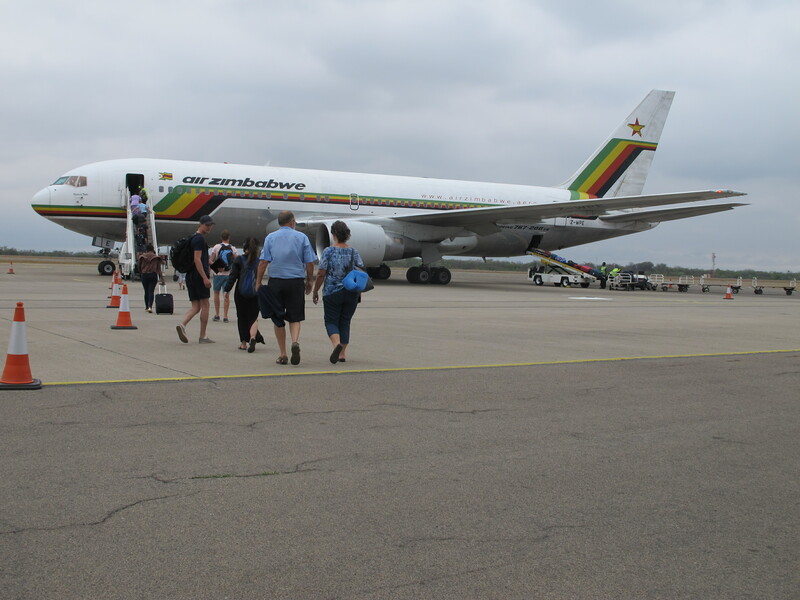 "a nasty surprise at Harare airport"
✅ Verified Review | Harare to Johannesburg with Air Zimbabwe. Tickets on Air Zimbabwe are not cheaper than other airlines. At the airport you will need to pay an additional US$50 per person than if you fly using another airline. 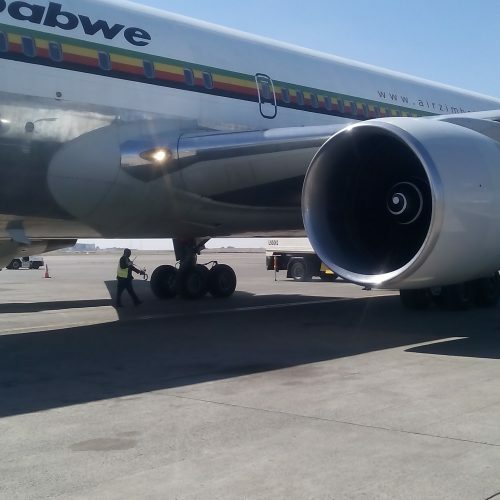 This is because Air Zimbabwe has not paid the Civil Aviation Authority of Zimbabwe (CAAZ) the taxes for past passengers so now the CAAZ obtains these taxes directly from passengers as they are about to leave. If you fly BA or SAA, these taxes are included in the tickets. Also note that online ticket websites (we used GoToGate) do not publish the additional US$50 or any such information on their sites so that you purchase tickets through them only to receive a very nasty surprise at Harare airport. The flight experience on Air Zimbabwe itself was not bad. With an unexpected weekend off in Harare and Victoria Falls beckoning Air Zim was the only option so we took a deep breath and booked. Outbound flight on 27-year-old B732 which left the stand with the precision of a Swiss train at 0800 and zero seconds. Served a reasonable snack and coffee and on-time arrival. Return flight on Sunday was on a leased E145 fully booked with departure from the stand 5 minutes early and again nice snack and drink en route. The crew was 75% SAA. Overall could have no complaints at all. Living and working in South Africa I fly home to Zimbabwe fairly often and try to be patriotic and use the national airline. I have only been delayed once in the past year. Food is good and service also of acceptable standards. Ggetting through to the Joburg offices is another story altogether - overall I think Air ZIm are doing the best they can with the resources at their disposal. 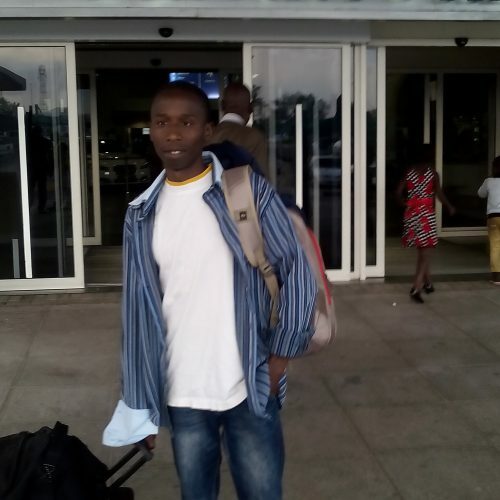 Harare-London-Harare. Originally booked flight on Friday which was cancelled. Flights were punctual and staff friendly. Old planes and no entertainment. But being the only direct flight to Europe from Harare and with prices less then half of any other airline still OK for anybody wanting a cheap flight to London as long as one has the flexibility to cope with changes of schedule. I was on my flight back from London. There is never any inflight entertainment on your long haul journeys and yet they is a projector onboard - very disappointing. One of the flight attendants back chats when I ask for a refreshment because I could not sleep - he tells me sir do you know it is four in the morning! 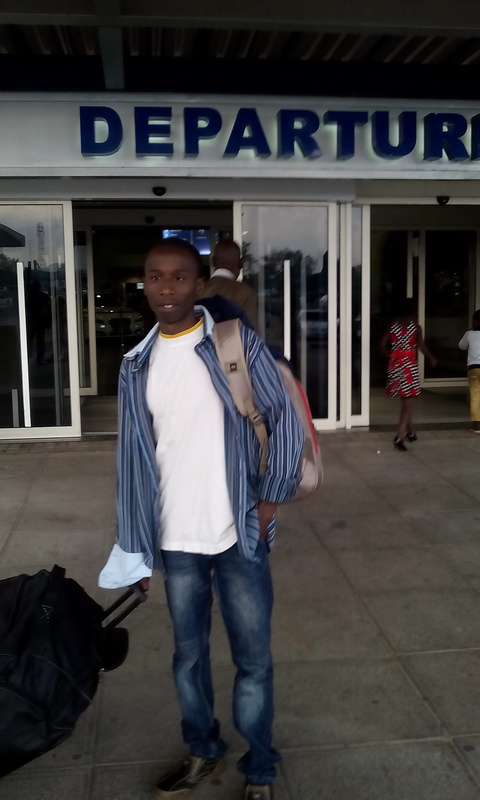 It is not good to arrive at the airport and get told that the aircraft has to stop over in Lusaka to refuel!. I thought I would try out Air Zimbabwefrom Harare as it is a direct flight to London and I dislike the long wait at Joburg airport when flying SAA/BA etc. However having had my Wednesday night flight postponed until Thursday then that cancelled until Friday then Friday flight cancelled without a single reason or apology. I figure 5 hours in Joburg is a small price to pay. Shame on you Air Zimbabwe. Never again.